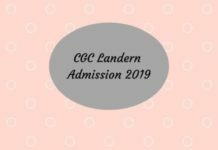 Rani Channamma University conducts RCU 2019 Admission every year. The official website of RCU 2019 Admission is rcub.ac.in. RCU 2019 Admission is a state level offline examination for candidates who have passed from any University/ Board of Karnataka. RCU 2019 Admission is offering 9 PG courses in the faculties of Arts, Science, Education, Social Science, Commerce, and Management. It is also offering M.Phil and Ph. D programmes. RCU 2019 Admission also offers a Master’s Degree in Commerce and Management, PG Diploma Course in Computer Application and UG and PG Programmes for Criminology and Criminal Justices. For detailed information on RCU 2019 Admissions, check below. Rani Channamma University takes admission for Undergraduate, Postgraduate, P.hd Courses. RCU 2019 Admission is done on the basis of merit, entrance examination or written Test followed by personal interview basis for different courses. The complete details for RCU 2019 Admission dates are given below. Minimum eligibility criteria for seeking admission to all the PG courses, in general, shall be a pass in the qualifying examination with 45% (40% for SC/ST/Cat-I candidates) of marks in respective subjects/papers in aggregate or aggregate of all the subjects/papers (excluding Basic/*Common subjects) and other conditions hereinafter prescribed. In respect of those subjects where the Entrance test is conducted admission shall be made on the basis of a merit list prepared by taking into consideration 50% of marks obtained in the qualifying examination (excluding Basic/*Common subjects) and 50% of marks obtained in the Entrance test. The candidates who have appeared for the final examination and expecting results can also apply. But, soon after the declaration of the results, they have to submit the marks sheets obtained from the internet, before counseling date. Application and other details may be downloaded form Rani Channamma University Belagavi Website. 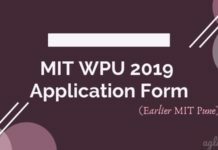 Interested candidates can download the application form from the official website or through the direct link provided below. Statement of Marks in respect of the qualifying examination and other qualifications, if any. Photocopy of the Certificate issued by the competent authority (concerned Tahasildar). Rani Channamma University is located in Dharwad, Karnataka and has been providing an opportunity to develop access to the students hailing from North Karnataka Region since 1982. Karnatak University PG Centre has been declared as Rani Channamma University in the month of July 2010 with the jurisdiction of Belagavi, Bijapur, and Bagalkot districts. 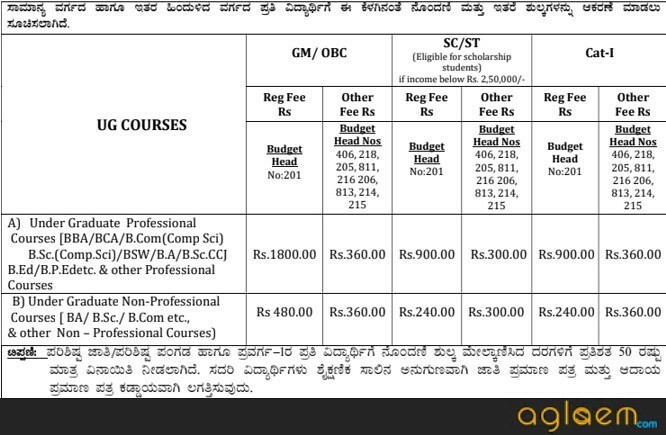 Rani Channamma University is offering 9 PG courses at Vidyasangam Campus Belagavi, in the faculties of Arts, Science, Education, Social Science, Commerce, and Management. It is also offering M.Phil and Ph. D programmes. 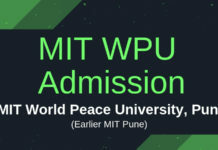 In case you have any doubts regarding RCU 2019 Admission. Please ask in comments below.